The new system will be introduced in phases from 2016. Indian Institute of Technology (IIT) Kharagpur will soon introduce a new “credit-based system” which would allow students the flexibility to complete a four-year B. Tech course in three-and-a-half years. “For each course there would be pre-specified credit which allows a student the flexibility to complete his course at his own pace. Fast-paced students can finish off six months earlier while those who want to go for year-long internship can go in between and come back to finish the course later on,” IIT-Kharagpur, Director, Partha Pratim Chakrabarti said. The new system, which is part of an academic review to modernise the institute’s undergraduate and postgraduate courses, would be introduced in phases from 2016, he said. Rajendra Singh, Dean of undergraduate studies, told PTI that if some B. Tech students need more time, they would be given upto eight years, while a five-year dual degree course can be completed in seven years. Professors said the step was being taken as it has been noticed that many students were “bitten by the entrepreneurship bug” during their course and they needed time to launch their start-ups. “They (students) can take a break from studies for their own venture. Others want time for long internships to get industry exposure which increases their employability and adds to their qualification. Again in some cases the learning process may just be little slow. The new system will have room for everyone,” Singh said. A team of professors of the institute studied the best practices in the top 20 universities of the world, including the Massachusetts Institute of Technology (MIT) in the US and then devised the new credit-based system. At present, every course in IITs is taught for a specified number of years and is divided into six-month-long semesters. After the new system is put in place the rigidity of completing the course in the specified period in IIT Kharagpur will be diluted. “There will be some core courses, specialisations, micro-specialisations and additional subjects from the humanities, management and ethics,” Srikumar Banerjee, chairman of the board of governors, said. 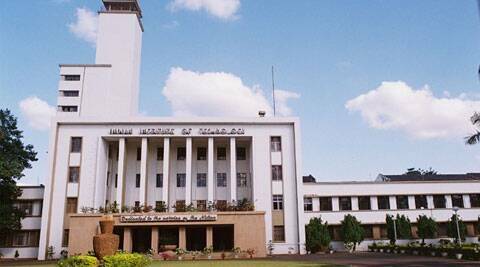 IIT-Kharagpur is also taking the lead in initiating mobility of students across all IITs. “Each IIT has a centre of excellence which may not be the same in other IITs. So the idea is to allow IIT students to spend a part of his course period in his chosen IIT,” Chakrabarti said. The institute has already spoken to IITs in Mumbai, Kanpur and Guwahati for such an exchange of students, he added.